The holidays are rapidly approaching and that means it’s time to find the “oh so perfect” gift for all your friends and family. 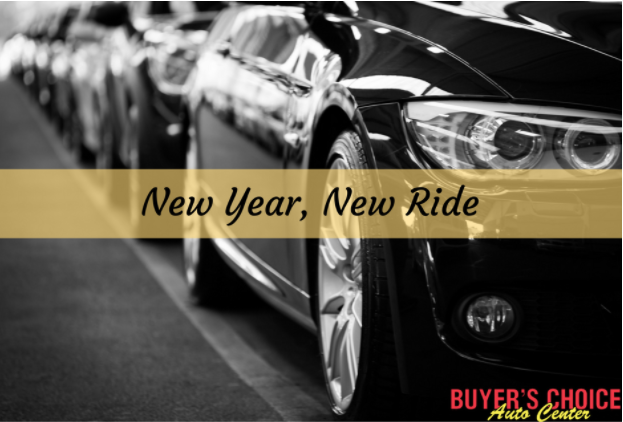 We at Buyer’s Choice know that every family has at least one car enthusiast. So why not get them something for their favorite hobby? 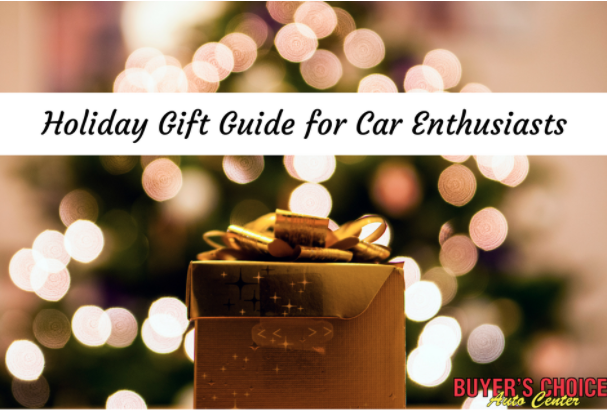 We’ve put together a wishlist of holiday gift ideas that will get any car lover's heart racing. Take a look! For the car enthusiast, staying on top of the stats and ratings for the cars they love is important. Consumer Reports not only has the skinny on pretty much every vehicle ever made but they’ve also got information on just about every type of product you can imagine. There are both online and mail order subscriptions available. Online subscriptions are $35 a year which is a great price to pay for unlimited access to all the information you can reach with their platform. Another great gift for the car lover in your life is car kit! You can find these at any store with an automotive section. Car care kits usually come with a variety of quality cleaning and detailing supplies for both the interior and exterior of a car. Chances are that your car enthusiast makes the time to ensure their car always looks it’s best, so they’ll be thankful for new supplies! Great idea for the car lover who already seems to have everything they need for their vehicle. Take a trip to an antique or thrift shop near you! You’d be surprised what cool things you can find! Many automotive brands and companies produced metal signs for advertising that can now be found in just about any antique shop. There are also plenty of toys or display items that companies produced with their brand name on them. An antique shop is the best place to go to find a unique gift they’re sure to love. It’s no secret that cars require maintenance and improvements to keep them on the road. Giving your car enthusiast a gift card to an auto parts store gives them a chance to purchase that special piece or part that they’ve been wanting! Hint: if you can find out what that special item is, you can buy it yourself for an even better surprise and skip the gift card! 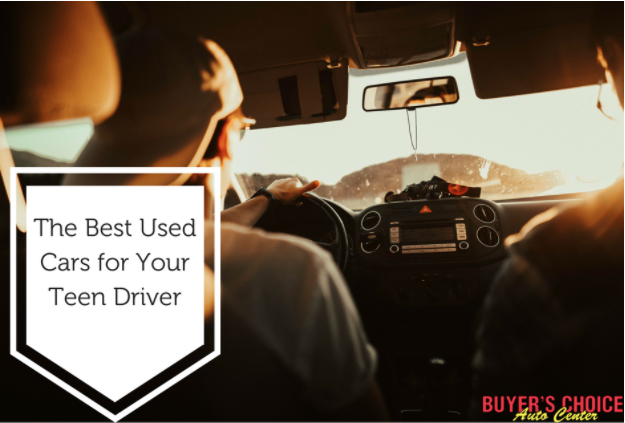 There are hundreds of great products out there that can make driving an even better experience. Interior covers for the seats and steering wheel can make all the difference when it comes to comfort during long drives. There are even seat covers that double as massage chairs! Floorboard mats, additional mirrors that reduce blind spots, center console and seat back organizers, and dashboard mounts for phones are all great gifts that any car lover would appreciate! Think your car enthusiast would like a new car instead? Give us a call at Buyer’s Choice at 843-225-7044. Winter is almost here, and although we rarely get snow in the Charleston area, the cold temperatures can be enough to spark up issues with your car. It’s important to take the time to ensure your car is prepped and ready before the cold sets in. 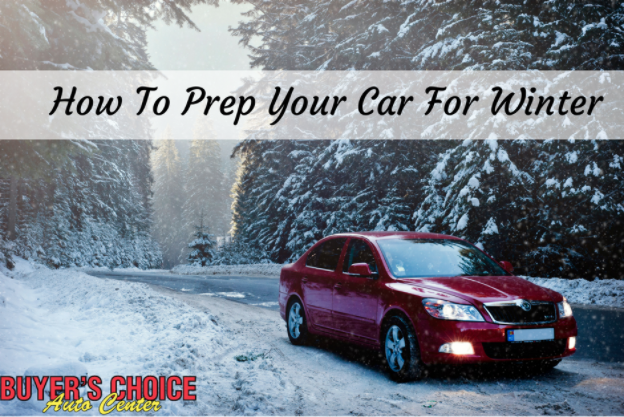 Buyer’s Choice wants you to be safe this winter so we’ve made this winter prep checklist. Check it out! Be sure you keeping a close eye on your tire pressure! You should be checking it each month, especially in the winter months. The cold can cause your tire pressure to drop and bring unnecessary wear to your tires. The cold weather can be harsh on your battery and can impede or halt its performance. Having your battery checked by a mechanic can prevent you from having to jumpstart your car after a night that was just a little too cold. If your battery isn’t in top condition, buying a new one may be best and save you time and worry. Invest in a pair of jumper cables that way you can start your car or help out another driver in a pinch. Be sure that your defroster is working properly, that your wipers are in good condition and don’t need replacing, and check/refill your washer fluid with a fluid rated for freezing temperatures. Check the windshield for any cracks or damages as these could get worse quickly with cold temperatures. Have a professional check over anything you may find to make sure it doesn’t need replacing. Along with checking your wiper fluid. You should also be checking your oil and coolant. Be sure that both are topped up or replace them if need be. Make sure that the coolant has a correct antifreeze/water ratio. This is really important so that your radiator doesn’t freeze! Some mechanics may recommend switching to a thinner oil for winter, however you should consult them first if you think it’s the right option for your vehicle. If you follow this list of check up’s you should be fine for the weather ahead, however it’s important to have an emergency kit on stand by just in case. Although an emergency situation is less than ideal, this kit can be very helpful should you find yourself in one. 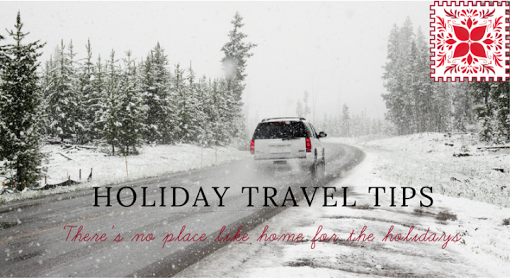 The kit should include a blanket, flashlight, leather gloves, ice scraper/brush, warm hat, bag of sand or kitty litter to help with traction in case you’re stuck, snacks, a small shovel and an extra container of correctly mixed coolant. We want you to be as safe as possible on the road and that starts with the right vehicle. 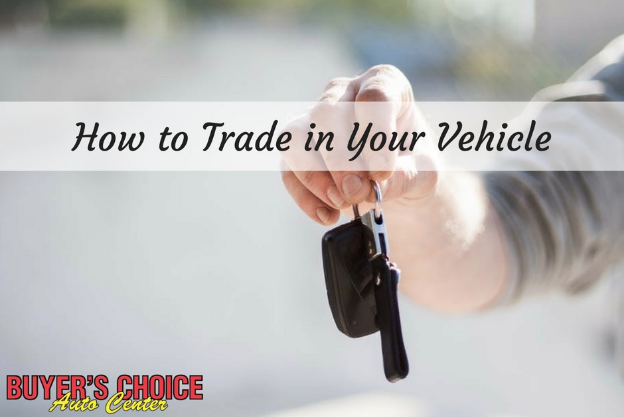 If you aren’t sure that your car can make it through another frigid winter give us a call at Buyer’s Choice at 843-225-7044. 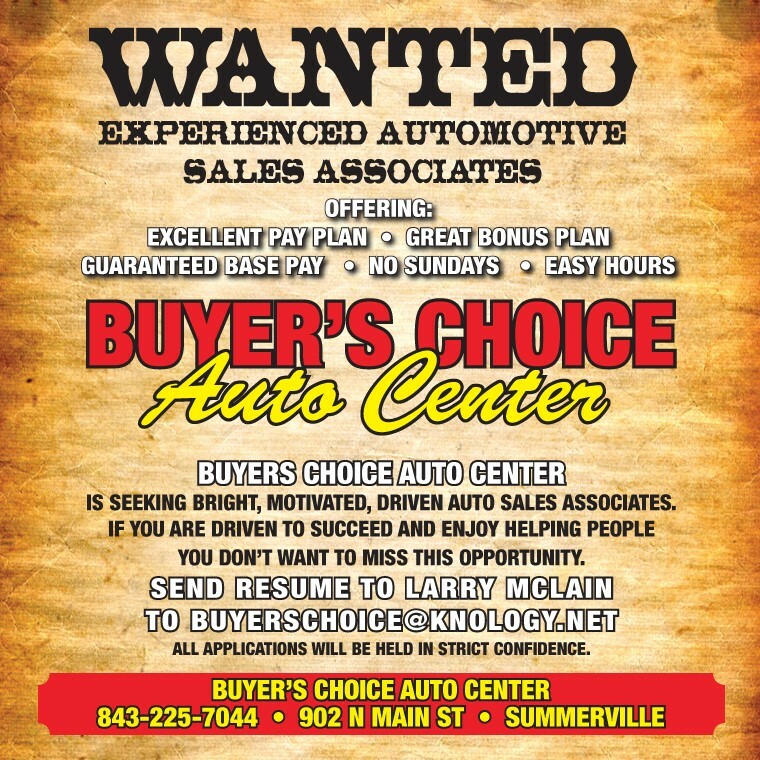 Call Larry @ 843-297-2773, for more Information! !